“We don’t know. But you should evacuate now since there are nobody else here,” answered Grunt. “Not all villagers left the village. Many houses here have small compartments so there should still be a number of people here who are just hiding,” said the mother. “Can you tell us what exactly happened?” asked Lillin. “Undead? I thought most of them perished a few years ago,” Lillin said with surprise. “God Chaose from the prophecy?” Lillin asked. “We’ll wait here and see if the undead will come back. You should take this time to run and find a safe place to stay,” ordered Grunt. “You’re really a brave guy, Grunt. Let us prepare, then, for this huge battle,” Lillin remarked. “Count me in!” shouted Leo. The three adventurers stayed with the mother and her children inside her house and comforted the family from the loss of a husband and father. It was a very touching scene, very different from the vicious battle that’s going to happen that same night. 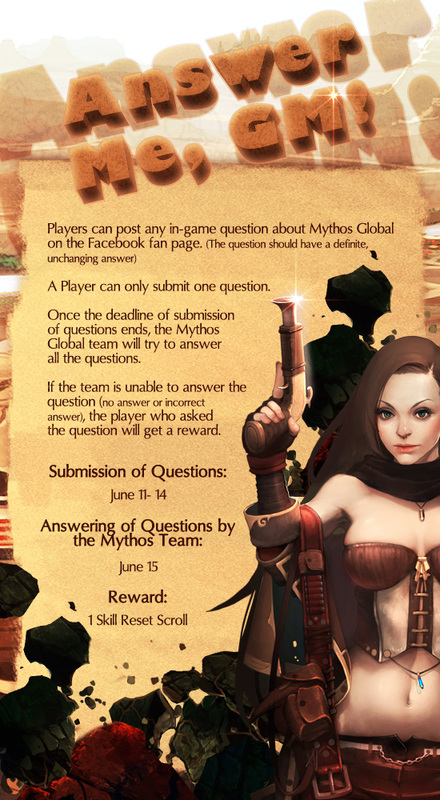 Last May 24, Mythos Global released its latest and biggest content update so far. The update included an increase of level cap from 51 to 60, a new zone called Land of the Dead, several new dungeons, and tons of new monsters and loots. 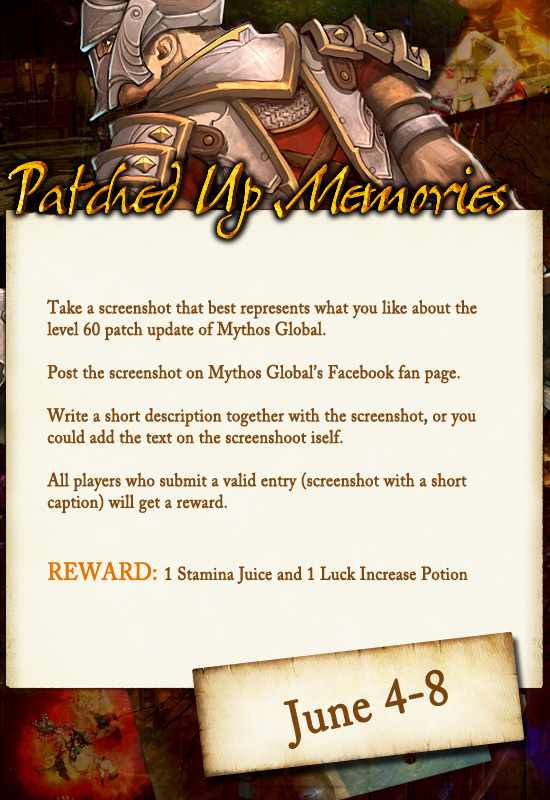 I've been playing Mythos Global ever since its OBT and I'm still playing it until now. Like many Mythos players, I've also been waiting for this update for quite some time. As such, here are some overview of the new stuff implemented with the latest patch. First is the new area called Land of the Dead. This area is very different from the previous three zones of Mythos. The first one being very vibrant and green with all the lush forests. The second is orangey with all the sandy deserts and rocky mountains. The third one is a cold snowy terrain. Land of the Dead is much darker and lurks with hideous undead and other deformed creatures. Next are the dungeons. From level 1 to 51, I rarely died inside dungeons. If ever I die, it's most likely because of carelessness. Although, I didn't say the relic dungeons since those are much tougher. It's quite hard to solo those relic dungeons. However, most of the normal dungeons are quite manageable given the right skills and gears. This has drastically changed when the update came. The new dungeons are very challenging. The normal mobs are much tougher and also deal quite a lot of damage. If the new mobs got stronger, then say hello to the new bosses. My character is not the tanking type. I killed bosses mainly by summoning turrets and widgets (the flying thingies), while I run around and kite the boss. This became very difficult to do when fighting the new breed of bosses. Not only do they have larger HP, they also have much higher damage. They even have skills that can easily one or two shot my character if I get just a tad bit careless. Furthermore, some bosses even run VERY fast! The kiting strategy are much less effective against those enemies because whenever I stop for a second to throw a new tower, they are right there behind me, even with a speed increase potion activated. In a few days alone, I find myself dying quite a lot! I had to get a new skill just to increase my survivability. The last thing that I would like to talk about in this patch is the new mode called Crystal Defense. As the name implies, it is a mode where you have to protect a crystal from several waves of monsters. The group mode is unavailable yet so it's only solo for now. Although I haven't reached the level cap yet, it's definitely tough. The highest I got was stage 3 or 4 (I can't remember exactly). Basically, it's just a matter of defeating enemies as fast as possible before they can attack the crystal that you need to protect. 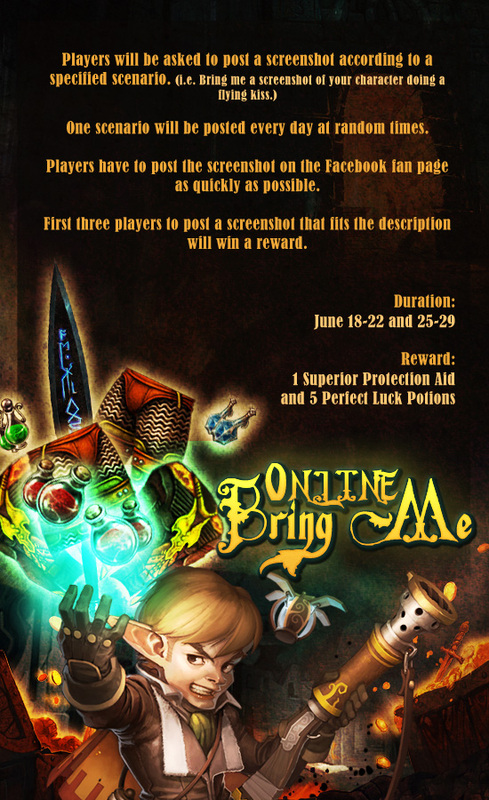 It's a fun challenge especially to those strong enough to repel the enemies for a long time. Result of one of my runs. Haha. So that's my short overview of the latest patch update for Mythos Global. It definitely brings a lot to the game. Besides the typical increase in level cap, new zones, quests, monsters, and items, it added a lot of challenge to the game. One doesn't just walk happily inside those dungeons since the danger is much higher. The new crystal defense mode is also a good addition. I highly recommend playing this game. If you like dungeon-crawlers like that of Diablo, then Mythos Global is certainly a decent alternative.  To new players, it is never too late to join the fray. There are people and guilds that actively help low level players. To those who have have the urge to go back to the game, the latest patch certainly will give you extra hours of fun and excitement. “I’m surprised that for a young kid like you, it didn’t take long for us to convince you to accompany us,” said Grunt. The three adventurers peacefully crossed the Field of Grasswind. It was a nice escape from the grueling battles and experiences that they have had during the past few days. The blades of grass are dancing beautifully with the wind, swaying their tips as if greeting the adventurers. “It’s good that this field remains untainted by the filthy hands of the Discordians!” remarked Lillin. “Hey! There’s the village of the humans!” Leo interrupted. “It looks like the village is still safe,” Lillin said with relief. When they are near the village, they noticed something is amiss. The village is extremely quiet and the smell of blood travels with the wind. “Seems to be that way. Let’s search the village and see if there are any survivors. Hurry!” Grunt ordered. “Wait! These widgets can detect the electric current running from a live body. Let’s follow these.” Leo said. The widget floated in the air and released a weak electric flash. It started to move forward so the three adventurers followed. The widget turned right after the second corner and went inside a small house. Afterwards, it went under a wooden table and stayed there. Leo and Grunt looked at each other in confusion while Lillin moved the table aside and knocked on the floor. “Anyone there? I am Lillin, a Satyr travelling alongside my friends. If anyone is in there, please answer me.” Lillin said. A few moments of silence passed, but after a while, the floor was lifted revealing a small compartment. A female human peeked and then went out, followed by her two children. “Who are you? What happened outside?” asked the mother. “Impossible! Could he be…” Grunt exclaimed. The two rushed towards the young Gremlin and checked if he’s alright. The villagers, on the other hand, were all confused but started to return to the village. “Leo!” a beautiful female Gremlin ran towards Leo. It was his mother. “He seems to be completely exhausted but he should be fine,” assured Grunt. The female Gremlin hugged her child and carried him slowly to their house. Lillin and Grunt followed. The rest of the villagers went to mourn for their loved ones who have fallen to the hands of the raiders. “I am Loreen. What are you going to ask? Maybe I can answer them for him,” the mother replied. “Please believe us! One of our companions is a destined child. He can control the element of ice, an ability that has been long forgotten,” explained Lillin. “I just lost my village, my friends, my comrades, and the village chief…” Grunt sadly recounted. “What happened?” asked the female Gremlin. “I… I can’t believe it!” the mother gasped. “I don’t know what kind of destiny awaits my son, but I don’t want to lose him, not after losing my husband…” Loreen started to cry.